Carnival Liberty offered a very special behind-the-bridge tour recently while docked at Port Canaveral, Florida this month. The cruise line welcomed a group of 40 U.S. Naval Sea Cadets for the day. Carnival Cruise Line welcomed 40 U.S. Nava Sea Cadets aboard the Carnival Liberty recently while docked at Port Canaveral, Florida. The cruise ship offered a behind-the-bridge tour detailing many aspects of ship operations. This makes a great way for the cadets to learn more about ocean vessels and what goes on behind the scenes. It’s part of an ongoing effort from the cruise line to educate and guide all those interested in the maritime field. The day aboard the Conquest-class Carnival ship wasn’t just spent on the bridge with Captain Carmelo Marino. 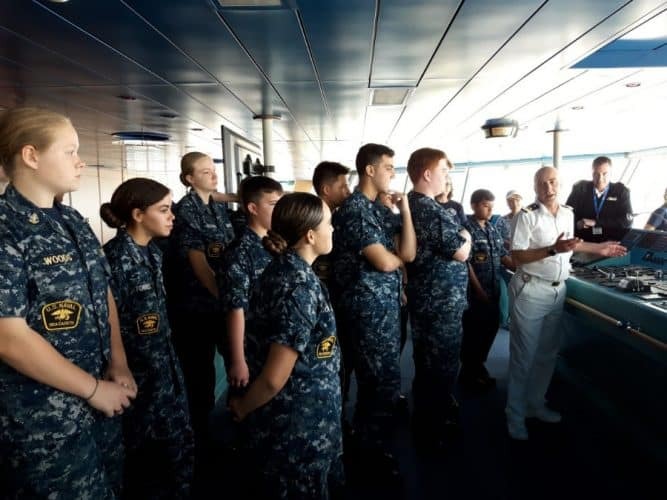 The cadets had the chance to find out how the embarkation and disembarkation process was operated along with an insight into various spaces and technical aspects around the vessel. The special day ended with a question and answer session held by the guest services manager. The tour was led by Hotel Director Stig Lorentzen and Guest Services Manager David William Peter Johnson. 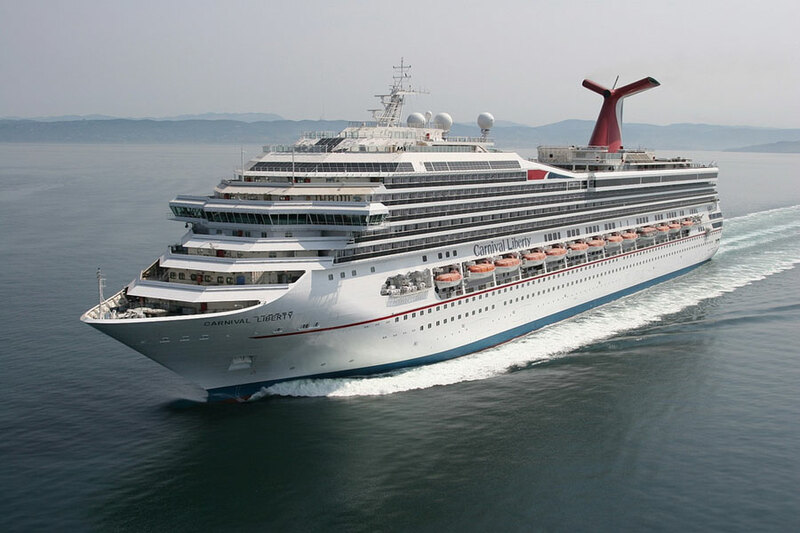 Carnival Liberty is currently based out of Port Canaveral sailing short cruises to the Bahamas. The ship is 110,000 gross tons with a guest capacity of over 2,900 at double occupancy.